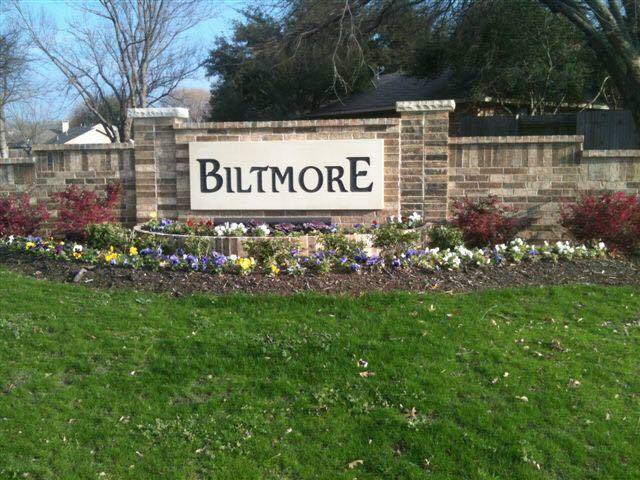 Biltmore Swim and Racquet Neighborhood is located conveniently in the middle of Plano. Unique to the neighborhood is is was one of the few neighborhoods in Plano with both a pool and a tennis court. Residence enjoy visiting with neighbors at a private pool and park. The neighborhood is just a stones throw from the Plano Hike and Bike Trails and Carpenter Recreation Center and Park. Homes range from $200,000 zero lot line to $300,000. Plano’s “profile” includes superior transportation system supported by four major arteries, DARTrail and bus service, easy access to DFW International Airportand Dallas Love Field. Internationally Accredited Police Department, carrying one of the lowest crime rates for Texas cities over 100,000 population. Accredited Parks and Recreation Departmentwith 80 park sites, 40 miles of recreational trails, two municipal golf courses, six recreation centers, a Senior Center, five swimming pools, outstanding athletic and tennis facilities, 86,400 square foot full-service convention center. Open to many denominations and religion, you have many places of worshipfor your family. A comprehensive Plano Fire Department, is composed of 10 stations with 269 firefighters, all trained as emergency medical technicians, with 139 firefighters trained as paramedics. The average response time is 5.23 minutes for fire and 4.92 minutes for EMS.